Defra has a consultation (ending on 13th September) on local air quality management. Currently, when a local authority finds an area in its jurisdiction in breach of national legal air quality objectives it can declare an AQMA (Air Quality Management Area), which enables the authority to apply for special funding to monitor and tackle the problem. After an AQMA is declared, a council is then obliged to produce an Air Quality Action Plan for submission to Defra. However, the new consultation document states that meeting EU limit values is a ‘significant challenge’ and it local authorities should focus more on reducing the public health impacts of poor air quality rather than to continue their current focus on monitoring. If the government succeed in pushing this through it would remove the responsibility for local authorities to assess air pollution it will no longer be possible for people to find out what air quality is like in their local area. It also would no longer be possible to hold local authorities to account if air pollution is at unsafe levels. Environmental lawyers, ClientEarth, think a big display of public opposition could make all the difference to how the government responds. Is air pollution the biggest obstacle to a third runway at Heathrow? Air Quality Consultation is on the Defra website. Consultation ends on 13th September 2013. 38 Degrees are asking people to fill in a simple consultation response. ….. the government is trying to push through damaging changes which remove the responsibility for local authorities to assess air pollution and declare where it is a problem. The government’s being sneaky. They’ve launched a consultation during the summer holidays, hoping that the public won’t cotton on and they can slip the changes through.Together we can do something about this: if enough of us respond to the consultation they’ll realise how important this is to people. Together we can stop the changes before they get too far. Air pollution causes 29,000 early deaths a year in the UK – more than obesity and alcohol combined. It causes heart attacks, strokes, respiratory disease and children living near busy roads have been shown to grow up with underdeveloped lungs. It doesn’t really make much sense, but the government is trying to pretend that taking away duties to measure pollution would lead to more action on air pollution, and an increased focus on EU requirements. In reality the changes would mean that we would know less about the air we breathe and so less will be done to improve it. Please don’t push through damaging changes which remove all responsibility for local authorities to measure air quality and declare where it is a problem (options 3 and 4 in your consultation). I think it’s important that I am able to find out what the air is like in my local area. And as usual it’s the poorest who will suffer the most – poorer areas have dirtier air and certain groups are more vulnerable to the health impacts. These changes would leave poorer people, and particularly children, paying the price. Up to 600 stations for monitoring air pollution across England could be shut down under new government plans to save money by cutting regulations. Ministers want to remove obligations on local authorities to assess air quality in their areas, resulting in less monitoring. But environmental campaigners are accusing them of trying to hide one of the country’s biggest public health problems. Government advisers have estimated that one type of pollutant – miniscule particles from diesel engines, fossil fuel power stations and other sources – is killing 29,000 people a year in the UK, and costing health services about £16bn. But European air pollution limits meant to protect health are being breached in urban areas across the country, with the highest levels in London. According to the Department for Environment Food and Rural Affairs (Defra), the limits for the toxic exhaust gas, nitrogen dioxide, were exceeded in 40 of the UK’s 43 air quality zones in 2010. But now Defra has launched a six-week consultation, due to close on 30 August, proposing a radical overhaul of the local air quality management regime that has been in place since 1997. The proposals are aimed at helping meet ministers’ “red tape challenge” to roll back legislation in order to help businesses. The favoured option is to drop existing requirements for councils to make detailed assessments of air pollution. Defra’s analysis shows that this could lead to the closure of 600 monitoring sites, all of which measure nitrogen dioxide and a quarter of which also test for pollution from tiny particles. The closures could save councils nearly £50m over 10 years, Defra suggests. The proposals only apply to England, and have been rejected by the Scottish government on the grounds that they “would deliver no obvious benefit”. “The UK government wants to hide air pollution and cares nothing for public health,” said Simon Birkett, director of the campaign group, Clean Air in London. He points out that the consultation is taking place in the summer holidays and describes the financial saving as illusory. 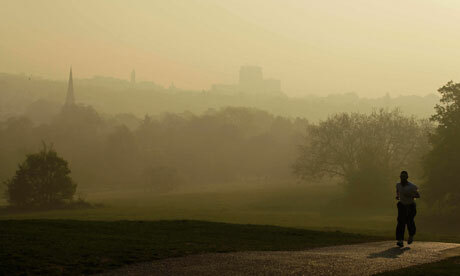 Defra insisted that the aim is to “reinvigorate and refocus” local air quality management. It said that the current regime was “diagnosis driven” and that “the level of local reporting can distract resources from air quality improvement”. A six-week consultation on the ‘shortcomings’ of the government’s Local Air Quality Management (LAQM) legislation in England was launched by the Department for the Environment, Food and Rural Affairs (Defra) on Friday (July 1). The consultation concerns regulations in the Environment Act 1995, which established the LAQM system under which all local authorities are required to regularly review and assess air quality in their areas against national objectives for several air pollutants. According to Defra, the LAQM has not been comprehensively reviewed since it came into operation in 1997 and there is a consensus that such a review is overdue to increase the effectiveness of the legislation. Defra states that ‘there is a need to reinvigorate and refocus LAQM’ to help the UK meet EU air quality standards and to help ‘clarify its role alongside other actions to improve air quality (by national government etc)’. Although LAQM has ‘greatly improved’ the sources and extent of air pollution, few local authorities have been able to revoke designated Air Quality Management Areas (AQMAs) and the legislation is ‘very administrative and report and diagnosis driven’ and does ‘not usually take into account compliance with EU limit values’, the consultation document states. It first emerged in May’s Queen Speech that the government would be seeking to modify LAQM legislation as part of the Deregulation Bill to cut bureaucracy (see airqualitynews.com story). The Bill could see local authorities no longer needing to produce air quality assessments after designating AQMAs. Currently, when a local authority finds an area in its jurisdiction in breach of national legal air quality objectives it can declare an AQMA, which enables the authority to apply for special funding to monitor and tackle the air pollution problem. After an AQMA is declared, a council is then obliged to produce an Air Quality Action Plan for submission to Defra. The Act stipulates that councils then have 12 months to carry out a ‘Further Assessment’ of air quality in the designated zone. However, the new consultation document states that meeting EU limit values is a ‘significant challenge’ and that there is also a ‘significant infraction risk’ from the EU for not meeting these limits. The consultation is principally aimed at air quality practitioners in England and runs until August 30 2013, after which Defra will hold a workshop to gather further evidence and compile a summary of responses online. More information about the consultation is available on the Defra website. Posted: Thursday, September 12th, 2013. Filed in General News, Recent News.